You tell us your ideas about where you want to go and how you like to travel and we’ll simply piece it together using our expert knowledge and working with you every step of the way. Whether on an expedition to Antarctica or on a luxury Amazon cruise in South America, a small ship cruise is definitely a great way to get around to the most awe-inspiring places on our planet. We have our own operations in Peru, Argentina, Chile and Brazil, directly employing local guides and local support staff. 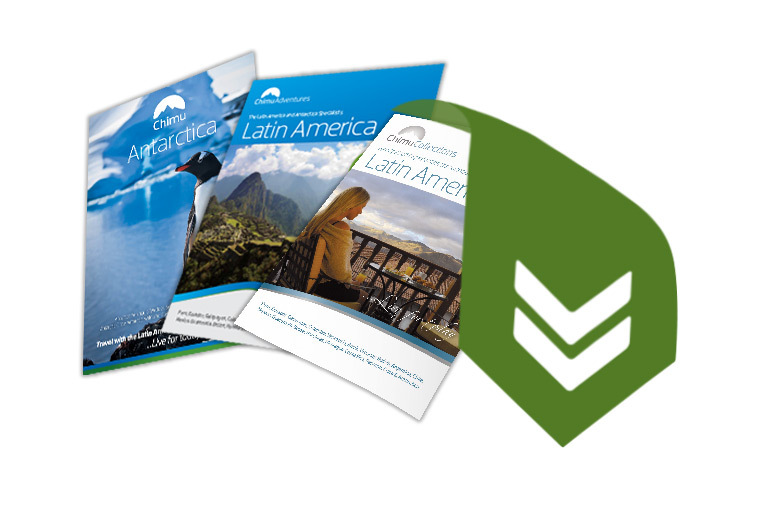 Stay in loop with everything South America, Antarctica and Arctic. From our comprehensive travel guides to Special Deals, be the first to know. The 'Make A Difference' Project is a registered, not-for-profit organisation and was set up with facilitation in mind, a place where those who want to help make a difference to challenged communities, the environment and historical preservation. The MAD Project is supported by Chimu so that the project itself has no overheads, every donation made is passed onto the projects it supports, in full. Chimu Adventures takes pride in being a member of the following organisations, so you can travel with confidence and peace of mind. Get our latest posts straight to your news feed, stay in the loop with everything social.